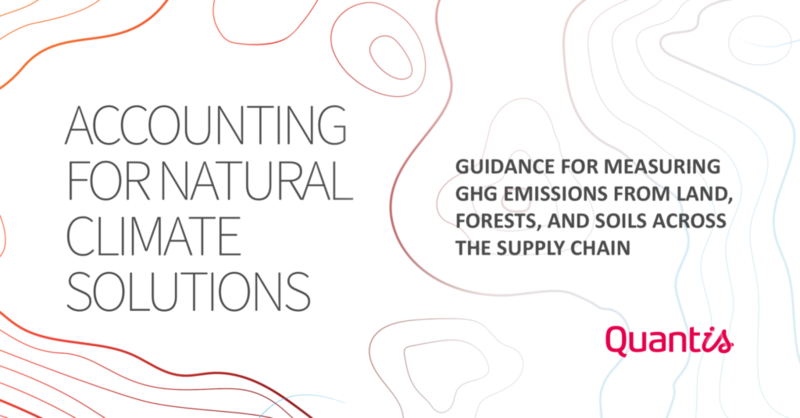 The Accounting for Natural Climate Solutions Guidance is now publicly available! Join Quantis + partners as we dig into this new methodology presenting 12 recommendations to ensure greater consistency in calculating and accounting for land-related GHG emissions. This Guidance is expected to transform sustainable management of forestry and agriculture in corporate supply chains. Panelists will share insights gained through pilot projects and the business value of applying this new standardized approach to GHG accounting on land-related activities.